We’re continuing our series of alumni profiles by interviewing Cooke Scholars from across our scholarship programs. We hope to inspire current and future Cooke Scholars by highlighting the incredible range of personalities, ambitions, and accomplishments of this talented group. 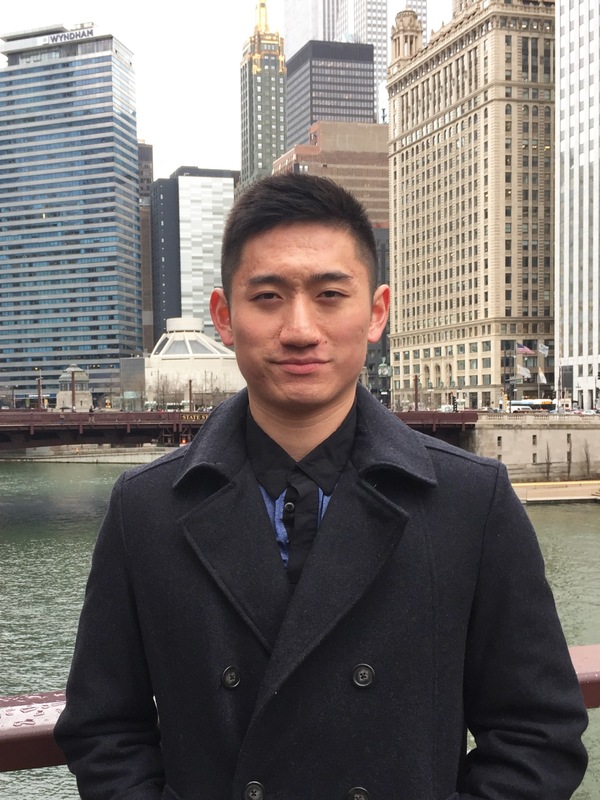 Today’s conversation features Cooke Scholar Shaun Zhang. I have had the privilege of being a member of the Cooke Scholar community since 2004, when I was honored with being named a Cooke Young Scholar. Soon after, I started college at age 14 and later law school at age 19. I received my undergraduate degree in Materials Engineering from Georgia Institute of Technology, and my Juris Doctor (J.D.) degree from Georgetown Law, where I also served as the student body president. Currently, I practice intellectual property law at Hewlett Packard Enterprise. For me, being a Cooke Scholar means that no ambition or goal is necessarily impossible. I have now been a Cooke Scholar for half of my life, and it has defined my education more than anything has and ever will. With the scholarships’ generous funding, I was able to attend the schools of my dreams and to have the flexibility to pursue my interests. With the Cooke Foundation’s support and resources, I have had the opportunity to partake in incredible extracurricular experiences. And with the scholar community, I have made lasting relationships with truly inspiring peers. In short, being a Cooke Scholar means more to me than just receiving a generous scholarship. Rather, being a Cooke Scholar has transformed many aspects of my life. My most memorable moment as a Young Scholar was when I had the privilege to meet my fellow Scholars at the first of numerous Cooke Scholar meet-ups. Over the years, many of my closest relationships have developed through the scholar community, with whom we have shared numerous molding experiences. I wholeheartedly believe that one’s environment can be as important as one’s personal ability and ambition. But environment can also be the hardest factor for one to control. By fostering a collaborative community, the Cooke Foundation allowed us scholars to be immersed in an inspiring environment, where we are constantly encouraged to further our potential. One idiom one often hears is “work hard, play hard,” but it is the most impactful advice ever given to me. As perhaps it was for many people, college was a transformative time in my life. It was the first time that I really developed management skills. To me, “work hard, play hard” goes hand in hand with smart time management. To accomplish anything great, the most important things must come first. But don’t get me wrong, working hard doesn’t mean you can’t have fun. In fact, I discovered that if I put in the hard work and accomplish the important tasks first, I am able to relax and truly relish the fun times later. During my last year of law school, I served as the student body president of Georgetown Law. When I first became a Cooke Young Scholar, I could not have dreamed of attending one of the nation’s top law schools, not to mention being elected president of its student body. Having graduated college at 18, I was only 20 when I began leading the student government. It was, for me, more difficult than any other academic challenge up to that point. Public speaking, directing committees, and managing a sizeable organization were simply not things with which I had any experience. Yet, by deciding to run for student body president, I made a bold decision that enriched my law school experience and allowed me to grow in unexpected ways. There is no other opportunity in the world like the Young Scholars Program. Not only will you be gifted with support and resources to pursue your academic dreams, you will also be welcomed into a community of talented, ambitious, and altruistic Cooke Scholars, who can help guide you and encourage you to accomplish your goals. But let me caution that the being honored as a Cooke Scholar demands the best from you in return. In return, you should be hungry for knowledge; you should strive for success; you should be compassionate about your neighbors; and most of all, you should follow in Jack Kent Cooke’s footsteps and do better than your supposed best.